Hi Allentown, Allow us to reintroduce ourselves. O'Brien's Moving & Storage are proud to be headquartered in our great city of Allentown, PA. We've been active in our local communities whether it's charity or supporting our local businesses through Chambers of Commerce. Since 1928 Allentown has housed the O'Brien's Moving & Storage's operations. We began as an ice delivering company serving the greater Lehigh County area. We soon expanded to household and commercial moving and have never looked back since. Over the years we have gathered the best and brightest talent to build up our moving company. Year over year we continue to improve and grow. 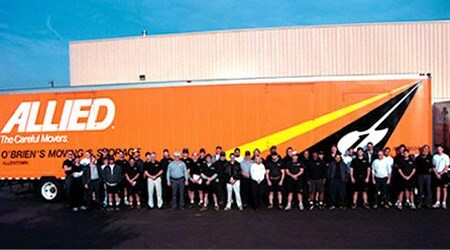 We're proud to have house Master Movers and Top 20 driver designated by Allied Van Lines. Give us a call at 800-729-9340 to set up an in-home estimate TODAY. Have a great weekend Allentown!